As you can see, Mona, the Toxic Narcissist, quickly asserts her dominance over Ted, the Exhibitionist Narcissist. She neatly ruins any pleasure Ted might have felt in supplying this meal. According to Mona, she is the real expert on steak and wine, and poor Ted is simply used to an inferior grade of both and does not know any better. What is really happening is that Mona is consistently devaluing Ted. Toxic Narcissist Relationship Style: Their goal is to establish themselves as better than you and make you feel inferior and inadequate. Life with them is one long putdown. You can never please them. They will never praise you. Any self-confidence that you entered the relationship with is likely to get eroded and replaced with self-doubt. All Narcissists will devalue other people to support their own self-esteem. By devalue, I mean that they will say insulting things that are designed to make someone else feel worthless. The three types of Narcissists differ, however, in whom they devalue, how often they devalue, and when they devalue. Exhibitionist Narcissists will openly devalue other people whenever they cannot get the admiration that they crave or when they feel criticized. In general, they will not devalue people that they consider above them on the status totem pole, only those who are competing with them or who are clearly below them. The Exhibitionist Narcissist’s use of devaluation sometimes leads untrained people to mistake Exhibitionist Narcissists for Toxic Narcissists. As you can see from the above examples, Ted the Exhibitionist Narcissist began by actively seeking his dates’ admiration, while Mona the Toxic Narcissist began by devaluing Ted. 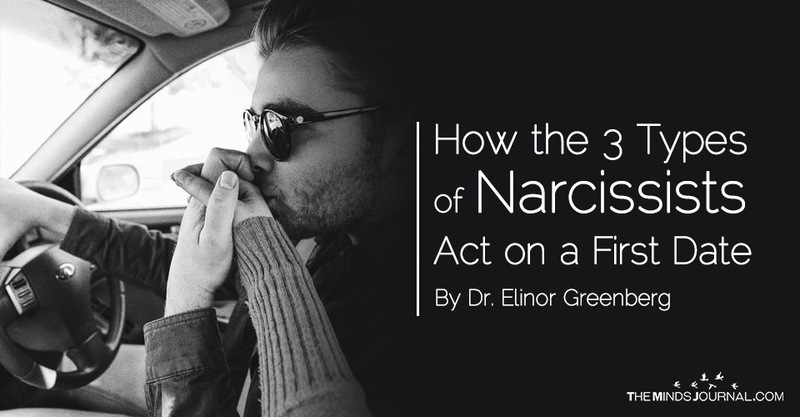 Closet Narcissists are more likely to devalue themselves than other people. They are always apologizing. If they do devalue other people, it is likely to be behind their back or take the form of coldly withdrawing. They are more likely to openly express envy than to publically insult or berate another person. Toxic Narcissists like to see other people squirm in embarrassment. They also like to knock people off stride. They often begin an interaction by putting the other person down in some way, as Mona did with Ted. They may do this subtly or they may be bluntly and openly devaluing. Unlike the Exhibitionist Narcissists who usually first display themselves for admiration and only resort to devaluation when that is not working well, Toxic Narcissists lead with devaluation. They generally prefer being feared to being admired—or they may equate the two things. As you can see from the above examples, Narcissists are not all alike. People with Narcissistic Personality Disorder can be divided into three general subtypes—Exhibitionist, Closet, and Toxic Narcissist—based on how they solve the central Narcissistic life issue: How do I support my shaky self-esteem and feel good about myself?